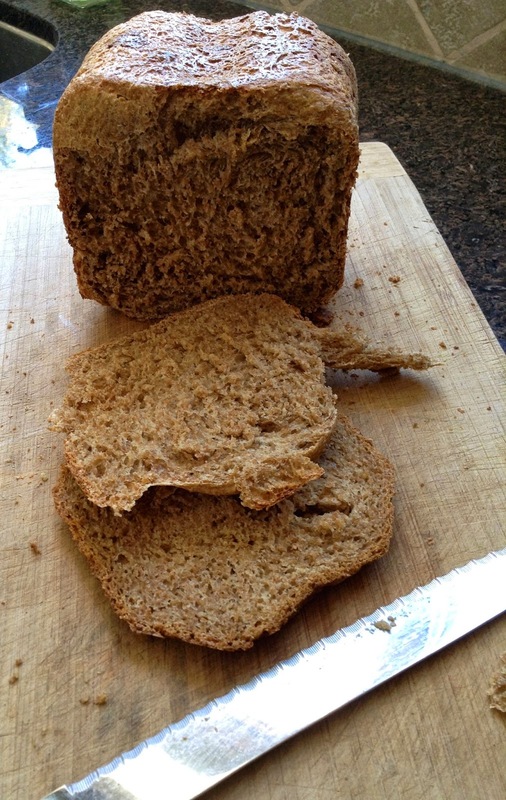 Continuing with our Lent Activities from Sense of the Resurrection, I made some spelt bread for the boys to enjoy while we read Luke 22:14-20. This is the story where Jesus and the disciples gather together to eat the Last Supper. We talked about how the bread represents Jesus' body being broken for us when he died on the cross for our sins. Once again we made an Easter Garden, our second year in a row. It's a really fun project to do over the 6 weeks of Lent, leading into spring! Micaiah is watering the grass seed. In this picture, it is just starting to sprout. We were supposed to make a purple tissue paper cross to put on our window, but I didn't have purple tissue paper. 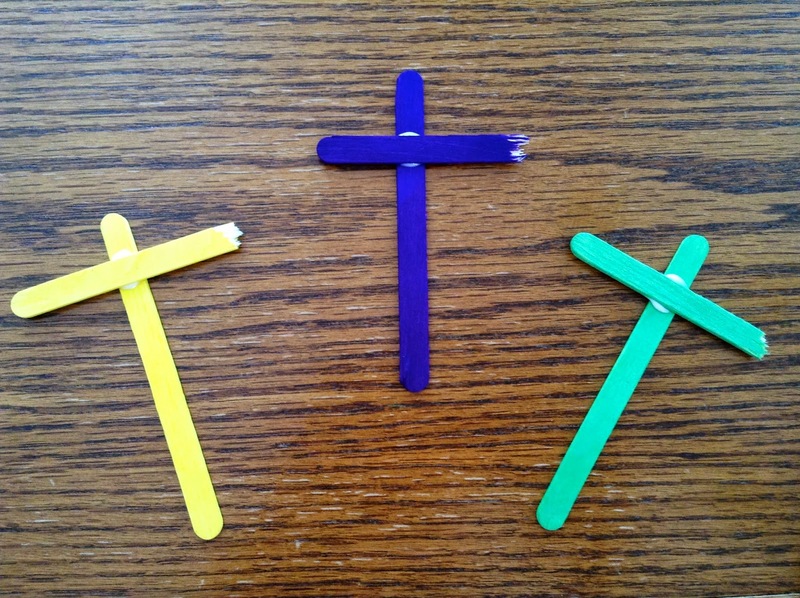 What I did have was purple popsicle sticks, so I improvised and we made a purple cross to represent royalty, recognizing Jesus as our King. While the boys made the crosses, I read John 19:1-16. Later, I stood the crosses in the soil of our Easter Garden. We're nearing the end of the part of our science curriculum that focuses on the human body. 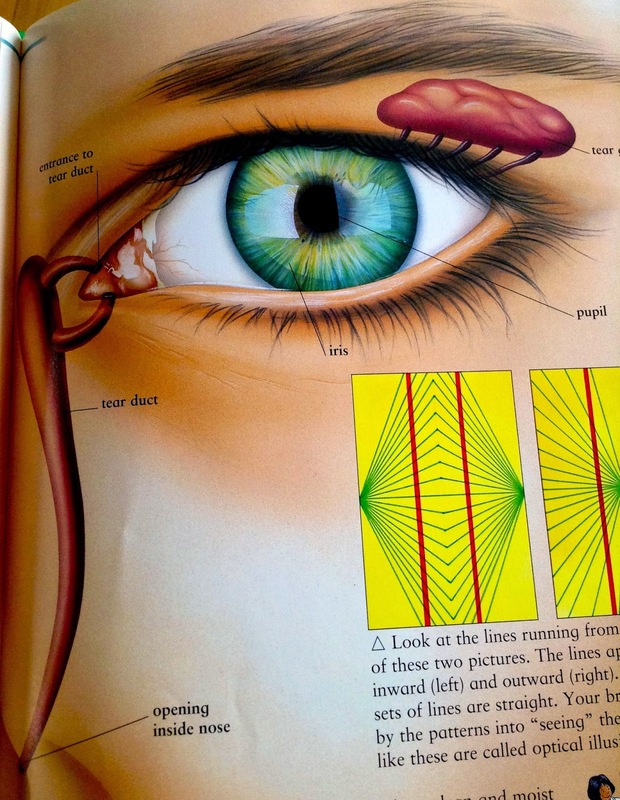 This week we learned about the human eye. Abishai was particularly interested in the tear ducts. 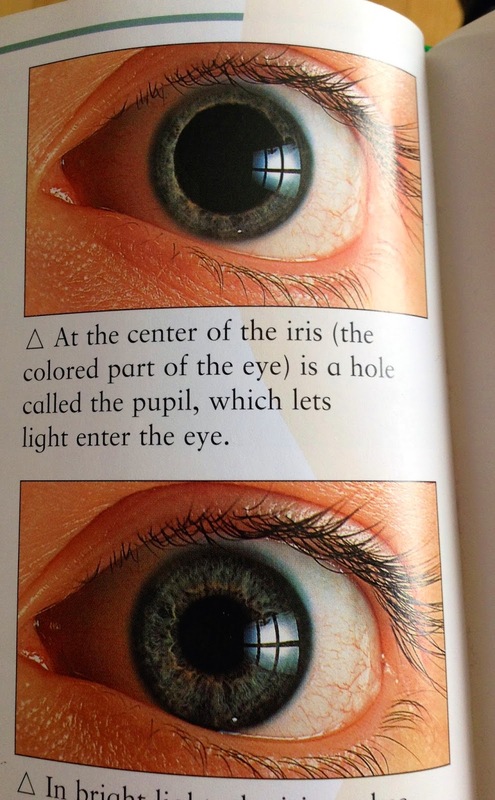 We read how dim light causes the pupil to widen, and how bright light causes it to narrow. 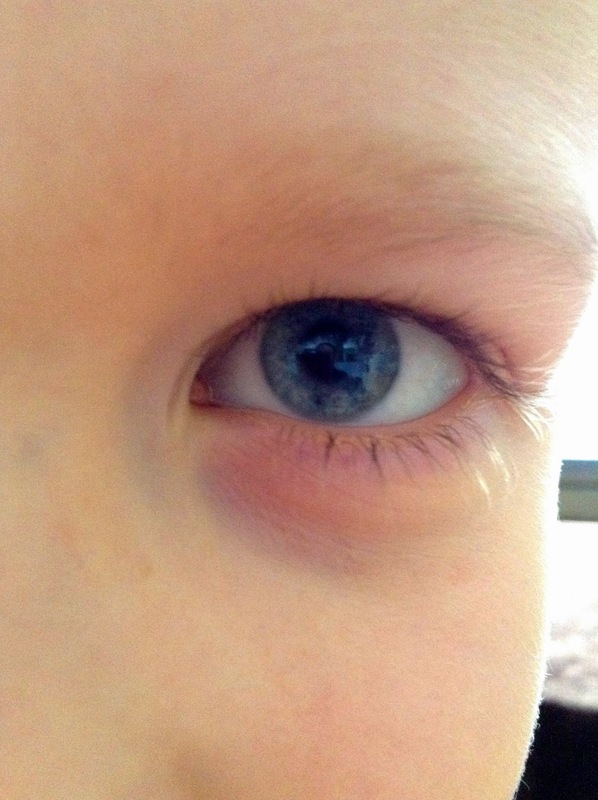 To see if this actually happens, we took pictures of Abishai's eye. 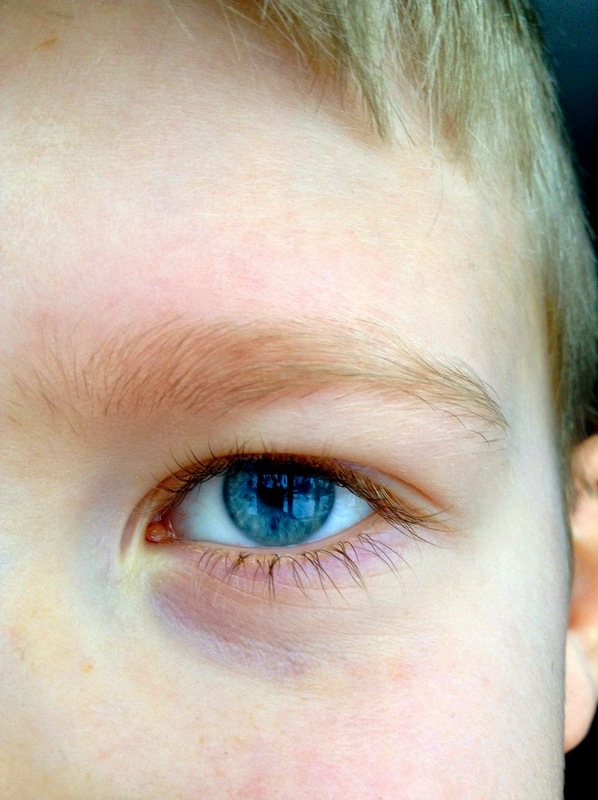 Here is Abishai's pupil in bright light - narrow. 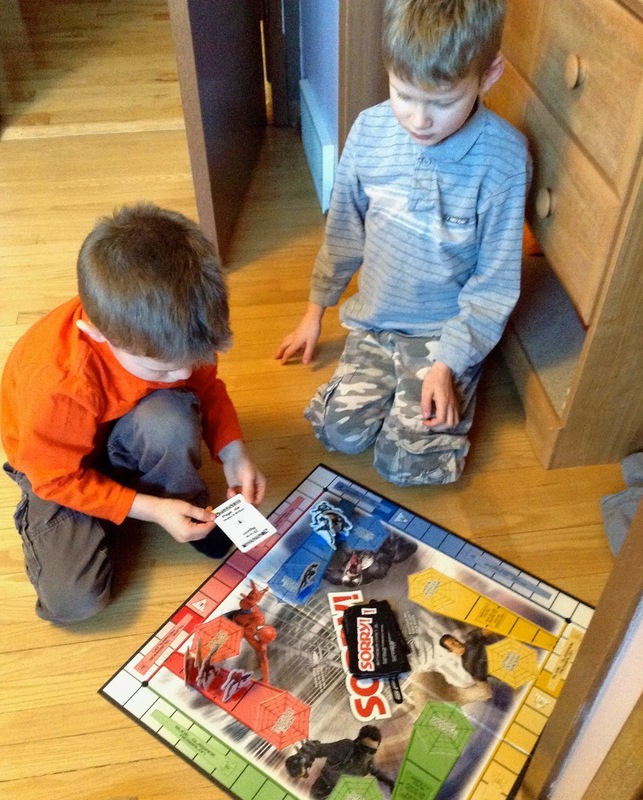 A game of Spiderman Sorry = Addition practice. 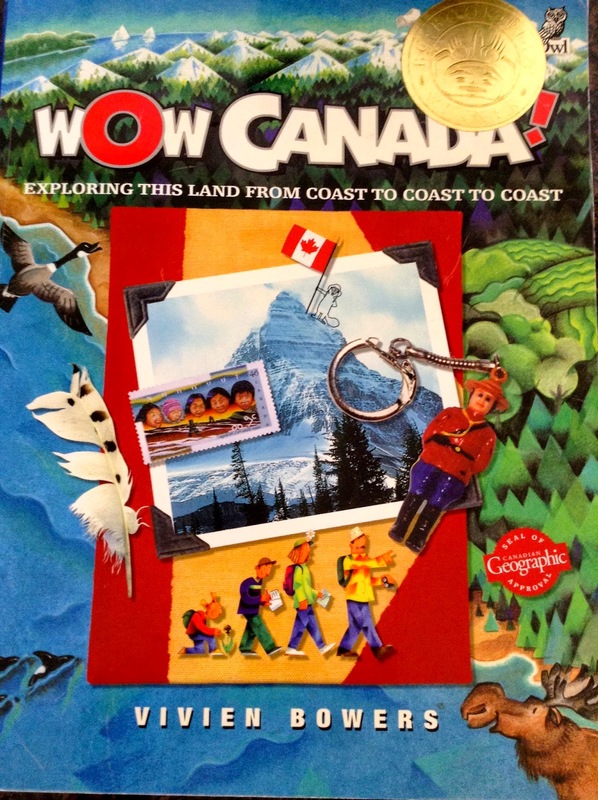 We've been learning about our country through this book called Wow Canada. It's a story about two kids whose parents take them on a trip to see all the provinces and territories. The children document their journey through story telling. Abisahi finds this book quite interesting. 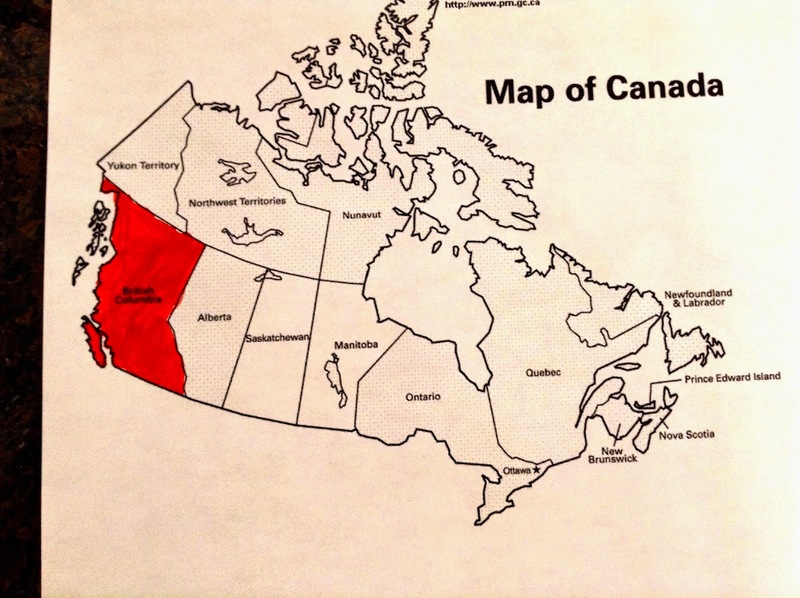 As we journey across the country with Wow Canada, the boys colour in the province we're reading about. We're just about to leave Alberta (not coloured in this photo). 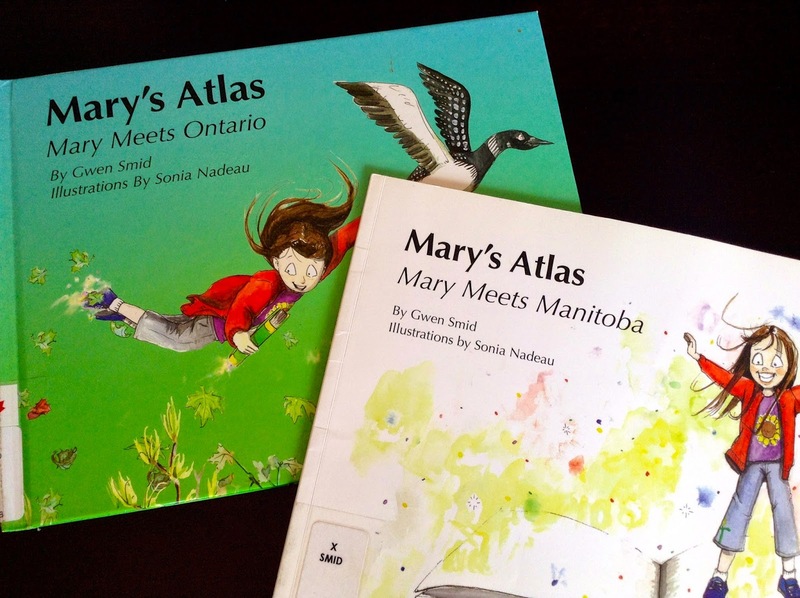 A friend of mine told me about the Mary's Atlas series, so I picked a couple of them up from our library to supplement our exploration. 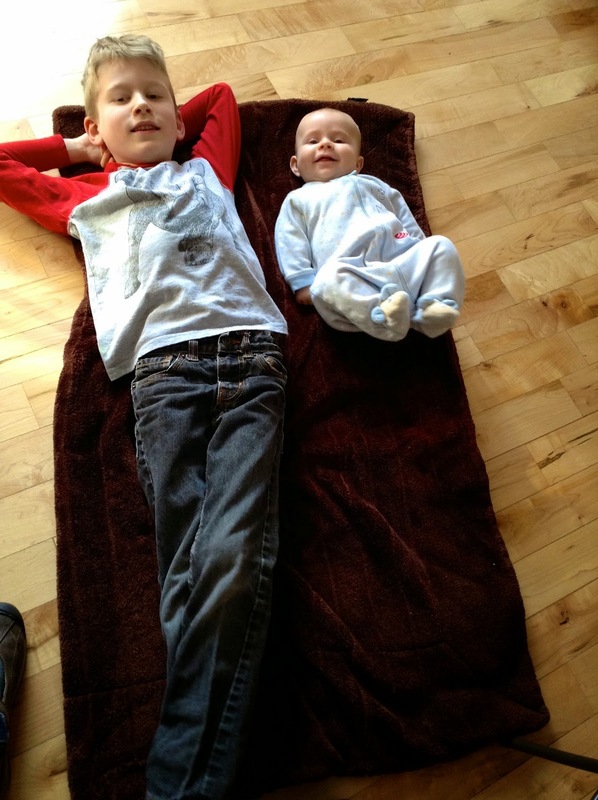 In the afternoon, I like to read story books or novels to the boys. 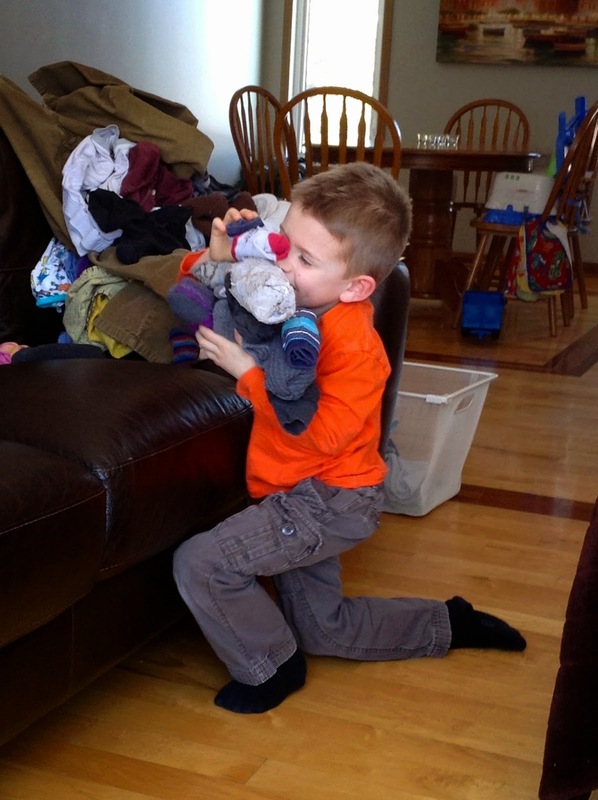 Since they know how to fold certain items of our laundry, I read to them while they work. 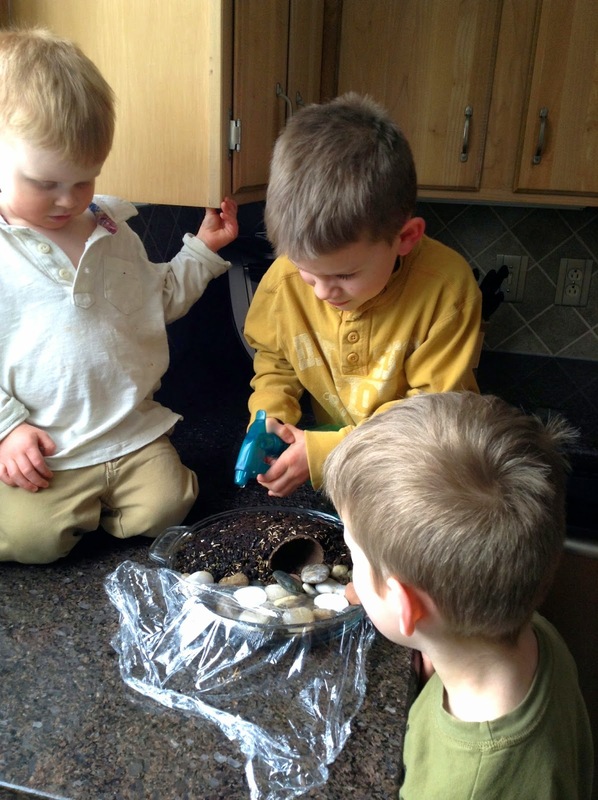 I once read that Noel Piper, author of Treasuring God in Our Traditions (where I got the Jesus Tree idea from) read to her boys while they folded laundry, so I decided that one day I would do this too (my older boys were just babies at the time I read her book). 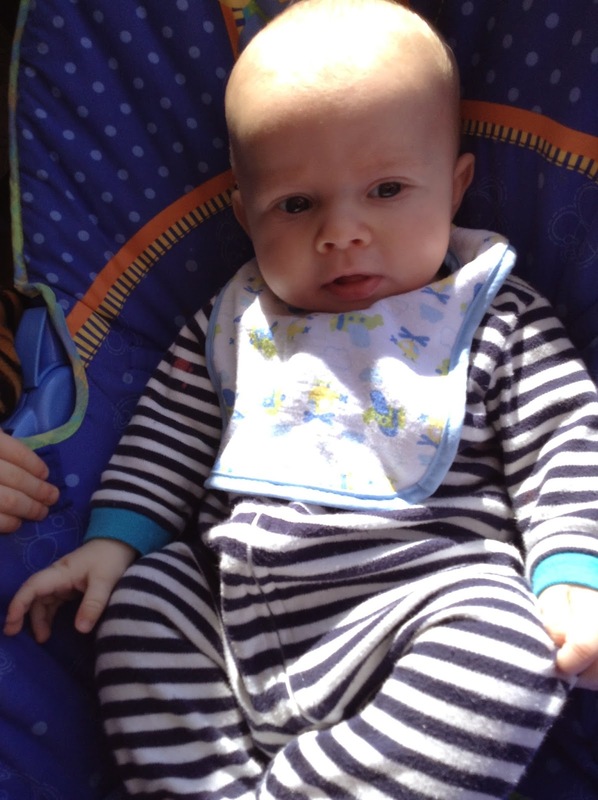 Baby Gilead soaking up the sun. 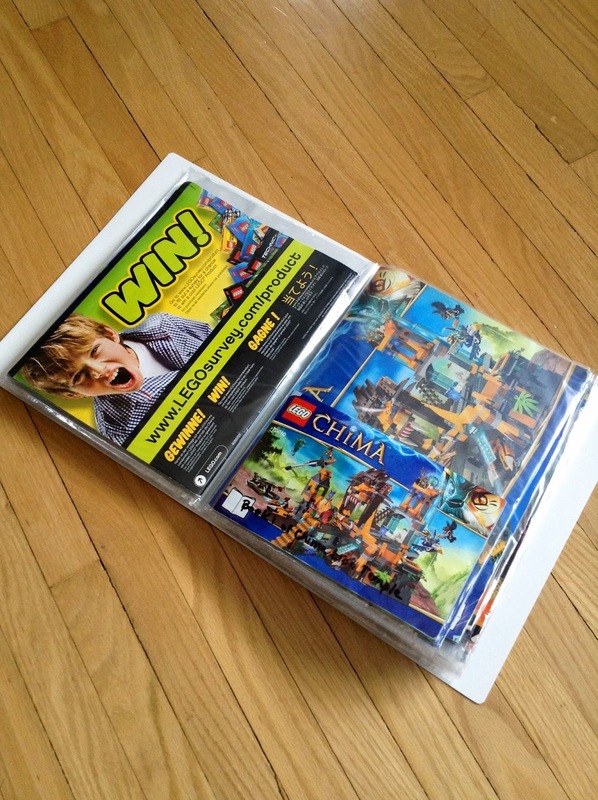 As we collect more and more lego sets, we also collect more and more instructions on how to build those sets. Every time one of the boys goes to build (which is everyday) they dig through this blue basket to find the desired booklet. 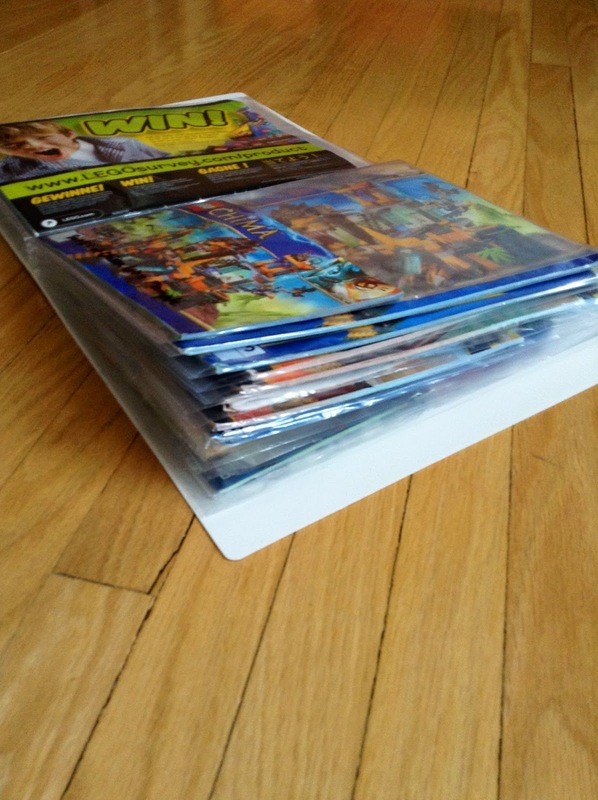 After, there's a big mess of instruction booklets to clean up, and over time they begin to rip and tear. Now hear me out. I don't have to clean this up; Abishai and Micaiah do, so really this big mess isn't my problem. But I don't like the booklets getting torn. Once a booklet looses a page or two, it's game over for building (at least according to design). Since I LOVE organizing, I came up with a plan. I went to Dollarama and purchased this binder with transparent presentation inserts. 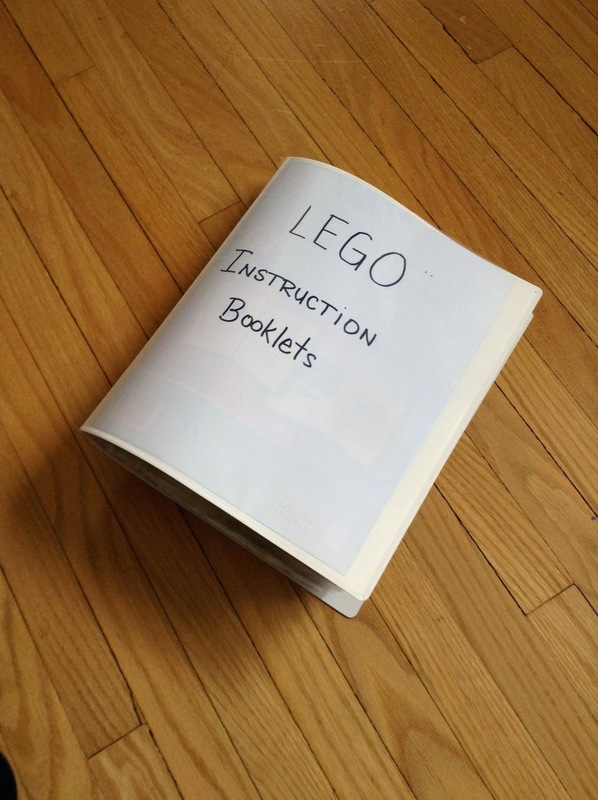 I then "tape-doctored" all the instructions that needed it and slid the booklets into their slots. Now, only one instruction booklet gets pulled out at a time, while the rest stay safely stored inside, just waiting for its turn!